What Should You Expect With Brian Johnson’s Return In AC/DC’s New Album? Fans have been kept on edge the past months. Finally, the picture’s getting clearer now, and boy, are we excited! It’s been almost three years since AC/DC has had any activity regarding new material. However, last year has got the hopefuls anticipating, when several leaks spread like wildfire across the internet. AC/DC was back in the studio, and this time it’s for real! 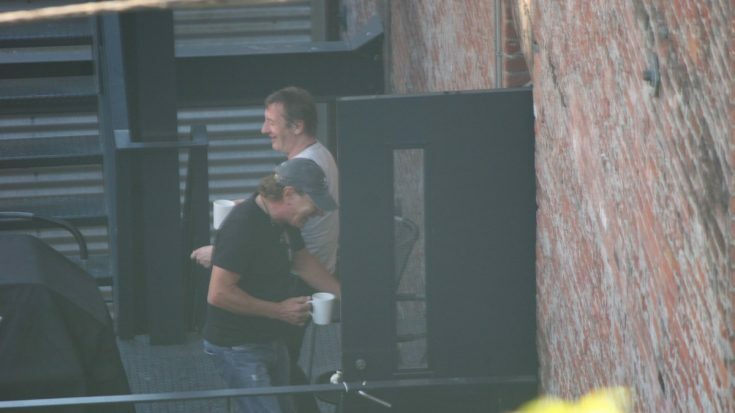 Brian Johnson was caught in picture, along with Phil Rudd in a recording studio in Vancouver. This set on an initial hype that woke up slumbering hard rock enthusiasts everywhere. Furthermore, an Instagram post by the user @24eltoro has ramped up the expectations of fans when he posted a picture of him with Brian Johnson and Cliff Williams. In a hotel in Vancouver. Imagine the implications! It has been reported that the new album will be a tribute to late AC/DC founder and guitarist Malcolm Young. Déjà vu moment, as what Back in Black came to be. Unbeknownst to many, Malcolm and Angus lived together for a while prior to the Black Ice release. In this duration, the two wrote hundreds of songs and recorded them, but were kept away for the years that followed. With the band prepping up for its new album’s release, Angus has stated that he has compiled the best songs from the stash, and has been mixing the recordings with the reunited gang. It seems like we’ll get a proper farewell of Malcolm ever since his sudden death in 2017. His rhythm guitar contributions on ALL of the album’s tracks will have us remembering and reliving his legacy. What fans are most curious about is the sound of this new album. With the possibility of producer Brendan O’Brien producing for them again, most are anticipating the “Black Ice“-esque sound, but then again, AC/DC has been known to stick with their formula for years now. Yet if by chance, the band decides to incorporate something new with Malcolm’s prerecorded stuff, by all means, surprise us! Moreover, Brian Johnson is finally back! To those who paid the price to see Johnson on the Rock or Bust World Tour and got Axl Rose instead, this may be the last chance for romance. US DJ Eddie Trunk has yet again teased the possibility of Johnson not just recording the album, but joining AC/DC on the road as well. According to “reliable” sources who he chooses not to name, Johnson is guaranteed to be joining the tour, which has already begun its planning stage. Imagine AC/DC dishing out classics such as “Highway to Hell“, “You Shook Me All Night Long“, and “Thunderstruck” with Johnson at the helm! Exaltation. In the light of the touring news, it might be possible for the band to include Asia on their schedules. Asia hasn’t seen much of the band due to the concentration of venues westward. Many Asian fans have been waiting for another opportunity to see AC/DC on their native soil, and this might be the only chance for them, as this album and tour might be the last we see of the band in their full lineup. While the schedules and regions aren’t disclosed as of yet, we can only wish the thunder be heard in the East. What are you expecting with this much-anticipated comeback from AC/DC? Let us know in the comments!